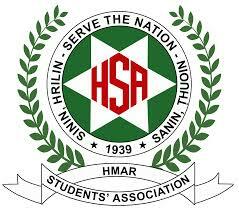 Imphal, Sep 8 : A joint meeting of the Hmar Students’ Association (HSA), Jt Headquarters, Aizawl and Siamsinpawlpi (SSPP), Headquarters, Aizawl, Mizoram was held on September 4 in Aizawl over the passage of three Bills by the Government of Manipur recently and the outbreak of spontaneous mass agitation in hills areas of Manipur thereafter. The joint meeting which was convened and presided by K Lalramtana, President, HSA strongly criticised and blamed the Government of Manipur for the passing of 'anti –tribal bills’ in the State Assembly which infringe on the long existing rights of the indigenous tribal people in Hill districts of Manipur. It objected and strongly disagree with the three Bills- PMP Bill, 2015, MLR and LR (Seventh Amendment) Bill, 2015 and MS and E (Second Amendment) Bill, 2015 passed by the Government on August 31 against the interest of the indigenous tribal. The meeting observed that PMP Bill which set 1951 as the base year to identify the indigenous people was an attempt to grab the ancestral lands of the indigenous tribal people by the Government and a deprivation of the rights enjoyed by them from time immemorial. The joint bodies condemned the suppressive or oppressive measure adopted by the Government of Manipur and the brutality of Manipur police/commando to control the agitating mob which led to the killing of several innocent tribal civilians in police firing during violence which erupted in Churachandpur district since August 31 following the passage of anti-tribal Bills by the State Assembly.